The store remains a critical touch point for brands to reach and influence consumers, with 76 percent of all purchase decisions made in-store, and 68 percent of all in-store purchases driven by impulse. This is precisely why brands have found point of sale marketing (POSM) campaigns to be so effective—accounting for sales increases ranging from 121 percent (unplanned displays) to 193 percent (planned displays). However, due to the currently limited visibility into POSM distribution, many brands are leaving money on the table. 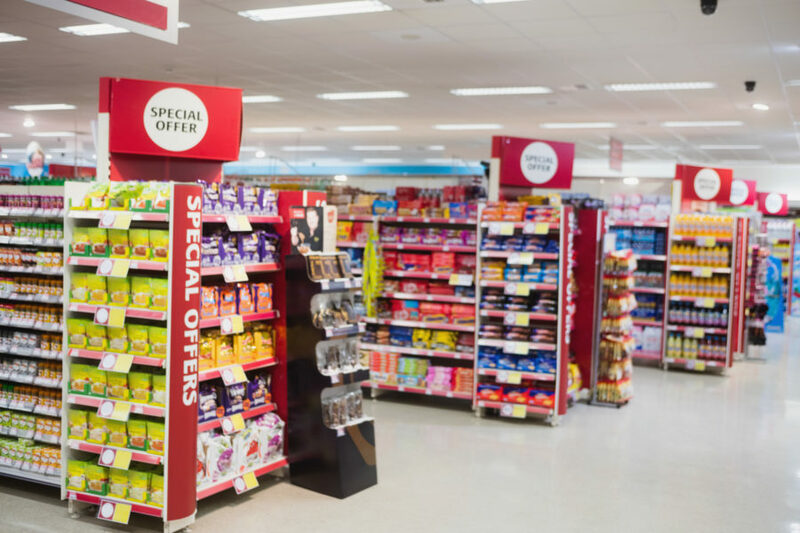 While thousands of displays are produced each year, less than 40 percent of global POSM campaigns are compliant, meaning the promotions are not displayed in-store as planned. And for every display not properly set up, brands are wasting money and losing sales. It doesn’t take much to solve this problem. A new solution is available right now that uses existing technology and doesn’t require any hardware or network infrastructure to be implemented at retail locations or within a brand’s IT infrastructure. It’s as simple as using a smartphone to scan a QR code that’s connected to an IoT cloud platform. Display units (and pallets) are manufactured with QR codes, each associated with their own unique digital identity stored in EVRYTHNG’s data management platform. At each point in its journey, the display’s QR code is scanned with a smartphone to verify its location and status. (The scan takes just a fraction of a second and can be done through either the iOS Camera app or a QR code scanner on the phone.) This simple process allows brands to track and trace the entire lifecycle of a unit—from manufacturing to warehouse receipt, distribution, setup, takedown and recycling—to ensure proper compliance. This end-to-end traceability provides visibility and accountability like never before. Marketers can also associate individual merchandisers or retailers responsible for each display, thereby understanding why campaign deadlines are being missed and being able to trigger compliance actions in real time. Furthermore, this same approach can be complimented by more sensor-based solutions, as retail infrastructure continues to evolve. This solution offers additional consumer capabilities as well. The same code on the display unit that enables traceability can also be scanned by the shoppers themselves, powering direct-to-consumer experiences that drive engagement, loyalty and further sales. Going further, brands can not only connect displays to enable traceability and offer consumer engagement experiences, but they can also tag the individual items in the unit, turning their physical products into digital assets that power these same end-to-end digital product lifecycle applications—making supply chains smarter and customer relationships stronger. POSM campaigns can be incredibly effective at influencing behavior and driving sales—but only if they’re active. Using readily accessible smart product technology, brands and marketers can implement a simple solution for gaining end-to-end traceability of their in-store displays—decreasing losses, increasing revenue, and generating real-time insights and consumer engagement.